Picture the world’s oceans once again abounding in fish, as part of a thriving and diverse marine ecosystem that supplies people with an increasing amount of protein rich food. This can be the future. Within our lifetimes, improved fishing policies and practices can help create much healthier oceans that support more fish, feed more people, and improve livelihoods. These outcomes go hand in hand, because a healthier, more resilient ocean is also one that can support larger harvests. This World Fisheries Day, we are optimistic that despite challenges facing fisheries, there is a bright future for both fish populations, and the people who depend on them. Global oceans can yield more fish, more food, and more prosperity: At the World Oceans Summit in June, we previewed a bio-economic model that shows a triple win for fisheries with smarter management. Our preliminary results show that global fisheries, if managed sustainably, could yield 23% more wild fish, generate 315% more profits, and boost the amount of fish left in the water for conservation by 112%. If we get fishing right, we can reverse the threats facing fisheries and coastal communities within our lifetimes. Read more here. Cuban marine protection milestones: 2015 was a huge year for the Cuban marine environment. Diplomatic ties between the U.S. and Cuba have thawed, making way for increased collaboration on science and protection of shared marine resources—culminating in an agreement signed by both countries this week. In addition, Cuba launched a National Plan of Action for shark conservation in October. This plan calls for new protective zones to guard critical shark habitats, adopts new regulations that will protect juvenile sharks, and limits fishing and by-catch of sharks. Read more about the NPOA here. Belize moves forward with nationwide system of multi-species fishing rights: Fish populations have been declining as a result of ineffective management in Belize—threatening the livelihoods of local families, food security for Belizeans, and the barrier reef ecosystem. For some fishermen, spiny lobster catches plunged from 200 to 20 per day. In response, we helped create a coalition of government, fishermen, and civil society organizations to end open access and create incentives to steward the resource. We tested this concept at two sites. Fishermen are enjoying better catches, reef fish are recovering, and violations of fishing rules by Belizean fishermen are down 60%. At the urging of many fishermen, the government voted earlier this year to expand the system of ‘Managed Access’ nationwide. Read more here. Sustainable fishing now within reach for two fishing communities in the Philippines: After months of hard work by the Fish Forever team and local stakeholders, the communities of Tinambac and Cantilan recently approved the first ever TURF+Reserve designs. These are historic milestones for these communities for many reasons. Perhaps most importantly, they were driven by engaged community members and fishers who laid the groundwork for sustainable fisheries management by working through and discussing their options to land on a design that works for them and meets their needs. Read more here. U.S. fishermen innovating to reduce seafood waste: A recent report focused on the issue of seafood waste in the United States. The waste occurs throughout the seafood chain, but also in wild fish discarded at sea, sometimes called “bycatch” or “discards.” Fortunately proven solutions exist to reduce wasted fish in the form of bycatch and discards. 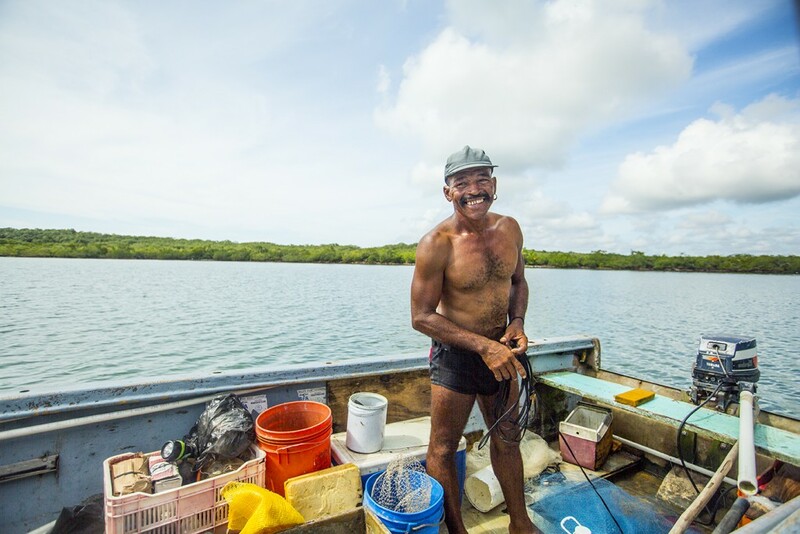 When fishermen are empowered with sustainable management by having secure access to the resource, they are able to focus on gear and harvesting innovations that target only the fish they want to catch. In fact, catch shares, a proven tool that aligns environmental and economic incentives for fishermen, save enough fish from being discarded to feed 17 million Americans their seafood for an entire year. Read more here. This entry was posted in Belize, Cuba, Domestic, Global Fisheries, International and tagged Food Security, marine conservation, ocean optimism, World Fisheries Day. Bookmark the permalink. Both comments and trackbacks are currently closed.